Earlier this summer, the Oakland City Council quietly green-lighted five new billboards to be erected near the foot of the Bay Bridge, including two to three giant LED billboards that will light up the night sky. 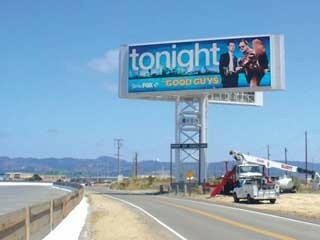 The council approved the billboards as part of the massive Oakland Army Base development project. The large signs will help finance the project and are expected to generate hundreds of thousands of dollars a year for a proposed job-training center in West Oakland. Councilmembers, however, mishandled the billboard approval process because they should have done more to inform residents about the new signs and offered them more of an opportunity to comment on them. Based on past experience, the council knows full well that billboards stir controversy in Oakland. Opponents of billboards contend that they represent a blight on the city, and many people especially don’t like the bright LED signs. In fact, there was a considerable backlash when the council approved the first LED billboard in Oakland last decade near the same spot — a billboard in which some of the proceeds benefit Jerry Brown’s Oakland School of the Arts. Because of that past controversy, the council and city administration should have made a greater effort to get the word out about the new billboards before the Army Base project vote in late June. That way, billboard opponents and proponents of the planned job-training center could both have had a sufficient opportunity to express their thoughts on the deal — and would have ample opportunity to convince councilmembers to see their points of view. Instead, some billboard critics now believe that they were hoodwinked — that the council purposely kept the billboard deal quiet, buried among the hundreds of pages of documents related to the immensely complicated Army Base project, in the hope that no one would notice. That belief may or may not be true, but in reality, it doesn’t matter, because by not giving the billboard deal a full and fair hearing, the council and city administration have further undermined the public’s trust.